Danielle encourages all of those that work with her to deep dive into their values, maximize those natural talents and skills, and create the life they have always dreamed of. She is a full believer that when you align yourself with you are meant to be, there is an opportunity around every corner. 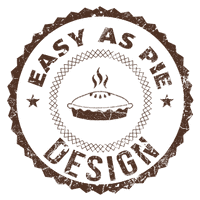 We are a website design firm specializing in ROI producing & SEO friendly websites, that get you up and running, starting in as little as 14 days. Isn’t it time for your business to grow? Kick start your business by maximizing the wealth of knowledge around you.